Business Opportunity: United Southern Bank (USB) desired to reduce the volume of checks being physically deposited at the branches each day as they were challenged to process them before the end of the business day. USB also wanted to strengthen its competitive position against the national banks in its market. To do this, USB implemented remote deposit capture using Digital Check’s new TS240 scanners and Benchmark Technology Group’s software solution, Corporate Capture 21.
bank personnel expected to process them before the end of their workday at 4:00 p.m.
USB personnel were expected to scan the batches of checks, correct any CAR/LAR reading errors, and process the deposits. The Implementation: USB brought in Benchmark Technology Group’s RDC solution with a competitive scanner, but were experiencing slower than expected scanning rates. 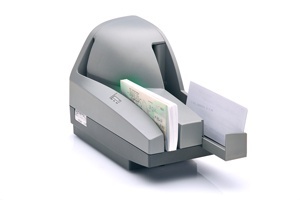 USB then switched to Digital Check’s faster TS240-100 scanners, with 100 count check feeders. By having customers scan their own checks and correct occasional CAR/LAR read errors, USB was also able to reduce its own workload and extend the deposit cut-off for same-day availability from 2:00 p.m. to 3:00 p.m. while still getting bank personnel out by 4:00 p.m. each day. United Southern Bank was established in 1986 but its roots go back to 1888 with the Bank of Trenton. Today USB has eight locations. For information about any of USB’s services call 270-885-0056 or visit www.usbky.com.